Before the 2000 minute countdown began. Photo by: laboratori 8-85. What can be done in 2000 minutes? One can fly half way around the world, read a book or two, run a marathon, get a full nights rest, and more. How did I use my 2000 minutes a few weeks ago? Doing none of the above. I participated in a 2-day hackathon with Imagine Creativity Center and RACC. In less than 48 hours, 12 teams of three people were tasked to come up with creative ideas, prototype them, and pitch them to a jury. What was our challenge? To imagine the future of insurance. 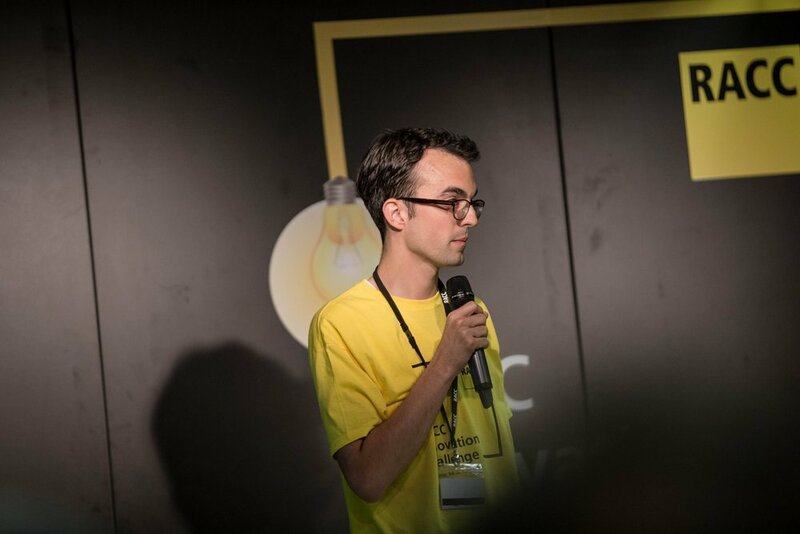 A few days leading up to the RACC Innovation Challenge, I thought, “How can we come up with an innovative idea in such a short amount of time?” I came to the hackathon believing that the more time you spent developing an idea, the better it would be. Although this is true to some extent, this challenge has also taught me that revolutionary ideas can “easily” be developed in just a few days or hours. Action: Good ideas don't always require years to develop. Set aside a small amount of time each week and try to come up with a few creative ideas for your personal and/or professional life. Share them with others, make adjustments as necessary, and try to implement them as soon as possible. The event was a roller coaster of emotions. One moment we were on cloud nine, and the next, back to the drawing board. One particular low point was when we pitched the mentors to validate our initial idea. We talked about our solution for millennials for roughly five minutes, and at the very end, one of them asked, “How are you going to sell to millennials?” We obviously didn’t convince him. As tough as that moment was, I am glad that it happened. It helped us revisit the question "What do millennials really care about? ", and in the end, develop a better solution. Action: Ask for feedback early and often. It will save you time, stress, and money. How did we get ourselves out of the stressful times? Laughter. Pure laughter. I can’t remember what we laughed about, but boy did it help. Action: When you find yourself in a stressful situation, don't forget to breathe, smile, and enjoy the moment. If your team is composed of people who think and act like you, the chances that you come up with a brilliant idea are very slim. Not impossible, but very unlikely. When Imagine was forming the teams, they strived to make them as diverse as possible. 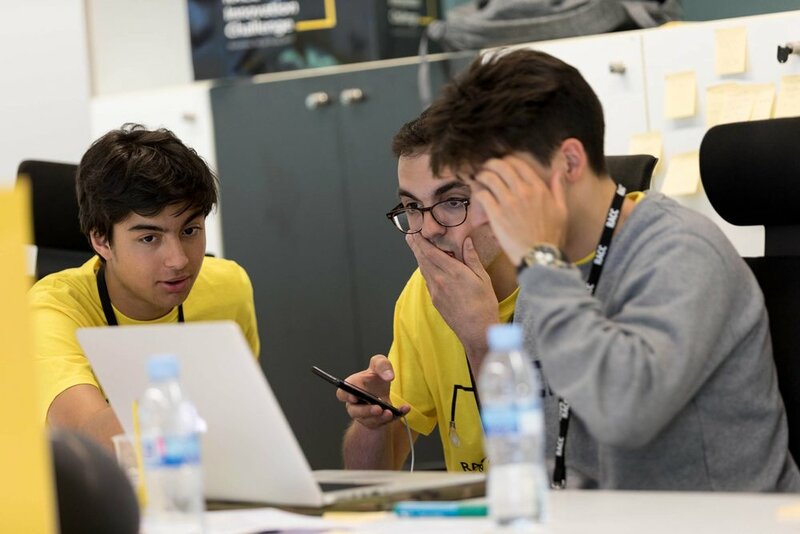 Our team was composed of David, a teenager CEO, Martí, a graphic designer who was very detailed-oriented, and myself, the communicator/businessman. Did we agree with each other 100% of the time? Of course not. However, because everyone came from different backgrounds, we were able to come up with a very forwarding-thinking idea – an insurance that protects your digital life. Action: Take someone from a different department out for lunch. Talk to them about their responsibilities and how the two of you can work together in the near future. If you are a manager, try to create multidisciplinary teams when possible. Imagine’s Lombard Method consists of four phases: inspiration, ideation, prototyping, and communication. As we started to feel the pressure of the clock, we started to skip ideation and go straight to prototyping. It makes perfect sense to want to automatically start thinking of solutions, but we still didn’t have our problem clearly defined. Once we started to follow the process again, everything seemed to flow more naturally. Most methodologies have been tried and tested several times. There is no need to reinvent the wheel. Action: Learn the rules so you can break them. Spend time learning about different methodologies, find two or three that make the most sense to you/your business, and use them as guides. However, be sure that they don't stifle your creativity. Special thanks: Gracias Xavi por darme la oportunidad ser dreamer y Bet por todo el trabajo realizado para que este evento fuera un exitazo.